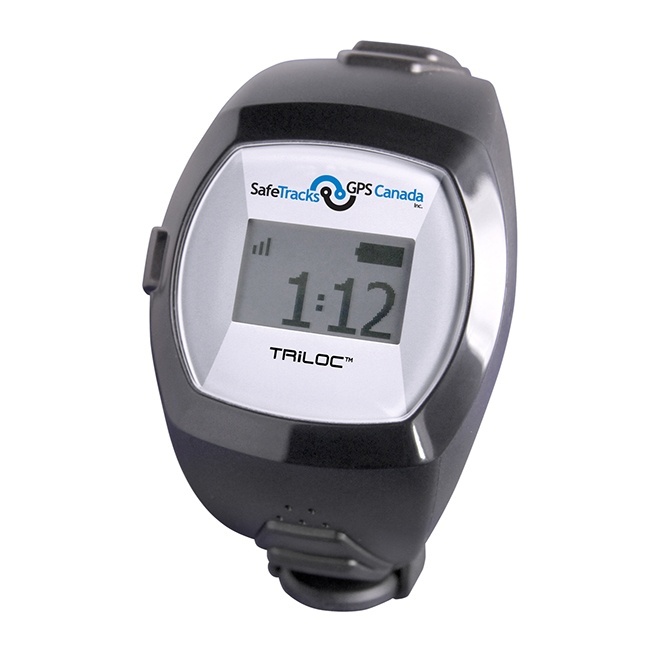 Keeping tabs on Dad and Mom just got easier! New “Aging in place” technology allows parents to live independently and adult children to stay in the loop without being intrusive. If something seems amiss — Dad hasn’t gotten out of bed or opened the refrigerator all day, let’s say — you get notified via email or text. Think GPS location tracking on a smartphone or tablet, remote monitoring of health conditions, medical alert systems and voice activation gadgets. Adult children or siblings may live far from each other. Care coordination apps and devices are one way to solve, “Who’s on first?” and keep everyone informed. Others on the care team, from a professional caregiver to physicians, can also get on the same page for information and updates. One care sharing tool is CaringBridge, primarily used during a health crisis. Family and friends log on to get progress reports and sign up for assignments. The iPhone and iPad app synchronize to a website. On average, someone age 65+ takes five medicines a day. Medication systems help aging parents stay on track — and let family members know if they aren’t. CareZone is a free app you set that buzzes the phone when it’s time to take pills. You can share medication and other important information. The coolest feature: Take a photo of a pill bottle, upload it, and it gets transcribed and added to the medication list. MedMinder is a digital pill dispenser. An adult child fills the medicine tray then programs the schedule online, and can check whether Dad has complied. 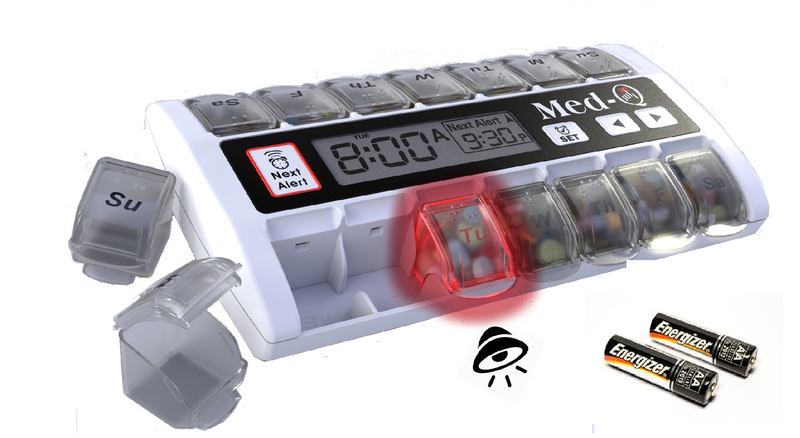 At pill time, the dispenser flashes — and a version that will unlock as well. Forget? The gadget beeps, and will be followed up by a prerecorded message in a family member’s voice; Still not taking them? They get a call and the child is notified. Micheline Stabile’s 87-year-old aunt is in independent living outside Pittsburgh. Until Stabile began leaving her reminder voice messages, she would often forget to go to the dining room for meals. One way to keep loneliness at bay is to interact with others — even if it’s on a screen. Take grandCARE. With a large touchscreen, residents at home or in long-term care have video chats with family, get the news, play games, visit websites and more. Other features: grandCARE offers medication prompts, sensor monitoring and telehealth device recording (glucose, pulse, weight). Caregivers can connect to a website portal from any internet-connected device. Perhaps the most ingenious social engagement tool is GeriJoy. Often used by those with mild to moderate Alzheimer’s, it’s a touchscreen tablet that “talks.” Tap the screen and the snoozing virtual dog or cat “gets up”; chatting back and forth begins. The trained staff operates and speaks through the screen remotely. He knows the person’s interests and might ask if they’re looking forward to a football game that day, or how they slept. Family can fill in faraway staff on something happening that day or have them reminisce about the person’s past. While it isn’t a substitute for care, it can supplement it when you can’t be there. Personal emergency response systems (PERS) are getting more sophisticated. Medic alert-like pendants and wristbands can be pressed during an emergency to alert family members and professionals. Some companies like GreatCall and MobileHelp have mobile PERS that work anywhere, not just in your house — and include fall detection. If the PERS senses a fall, it alerts a call center even if the user hasn’t pressed the button. Sensors like BeClose and Lively attach to objects your parent uses most: the bed, a toaster, the bathroom, a front door or a favorite chair, for instance. You remotely determine what circumstances merit notification (if Mom hasn’t made her coffee by 10 a.m., for example).You can check their activity on your smartphone. Rose McDermott, a university professor in Providence, Rhode Island, used BeClose to check on her mom 3,000 miles away. Lively is a multi-talented smartwatch! It’s a clock, medication reminder, pedometer and PERS. (Lively also offers separate sensors you can buy with the watch.) Pamela Wood Browne’s 88-year-old mother, who lives 15 minutes away near Greenville, South Carolina, uses a Lively watch and sensors. “Short of living with her, it’s a glimpse into what and how she’s doing,” says Browne. Manny Santayana, 59, shoots for a more direct approach: six cameras via Comcast’s Xfinity placed around his 85 year-old mother’s home in Pennsylvania. She lives alone and has Alzheimer’s. From his own home in Florida, or on the road, the salesman checks on her throughout the day. From his iPhone, Santayana can make sure the help is punctual and his mom is safe. Twice, Santayana’s mother opened the front door and got locked out. An alert notified him; he could also see it on his screen. Have any experience with aging in place technology? What have you used or wish there were a device for? Please share your story with us in the comments below. Highly recommend a ComfortHandle from ComfortHandle.com for any senior that uses a tablet, ipad or kindle. Strong grip so they can hold it easily without pain and also serves as a stand for skyping the friends and family! Hi, we use Oscar Senior (www.oscarsenior.com). It’s an app that turned my grandma’s tablet into a senior-friendly device which means all the buttons are big and bright. It also allows us to connect via a video call and send pictures. It has many other features but the best thing is it is super easy to use and navigate. Incredible. Thanks for sharing, Glen! That’s great. Thanks for sharing, Lee. tablet, grandPad (www.grandpad.net) has changed their lives almost overnight. enough great things about this product!